So I made a routine visit to my scrapbook store (Scrapbook Centrale) last night and of course, got into trouble! Lol! She is receiving all her new collections and I had fun! I grabbed some Penny Black stamps that I have been waiting for and made this one last night when I got home. KIM, your card is beautiful. I love the design and layout, and your coloring is fantastic. I joined your blog so I can see all your BEAUTIES. Thanks Judi! I so appreciate it :)! and hey!! Congrats on the shout out you got on the Penny Black blog for this beautiful card!!! Such beautiful coloring on this image, Kim. Been thinking about this set of stamps and you have inspired me. Love the layout and simple twine bow, too! Beautiful card; your coloring is gorgeous! 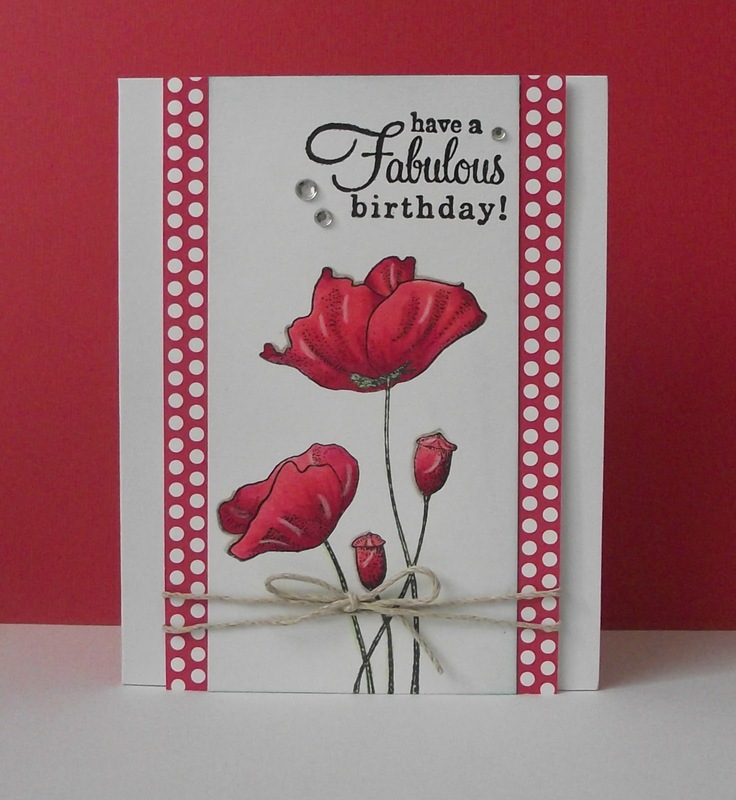 Wow Kim, this is a stunning card, your coloring is gorgeous, it's so striking and yet the design is so simplistic. I love it!!! This is just so gorgeous!!!!!! I need to get my hands on that stamp!!!!! !